How do I edit/extend an existing homework task? If you want to change the due date of a task, or realise you've made a mistake setting up a task for your students, you can change most aspects of your task without deleting it and making a new one. 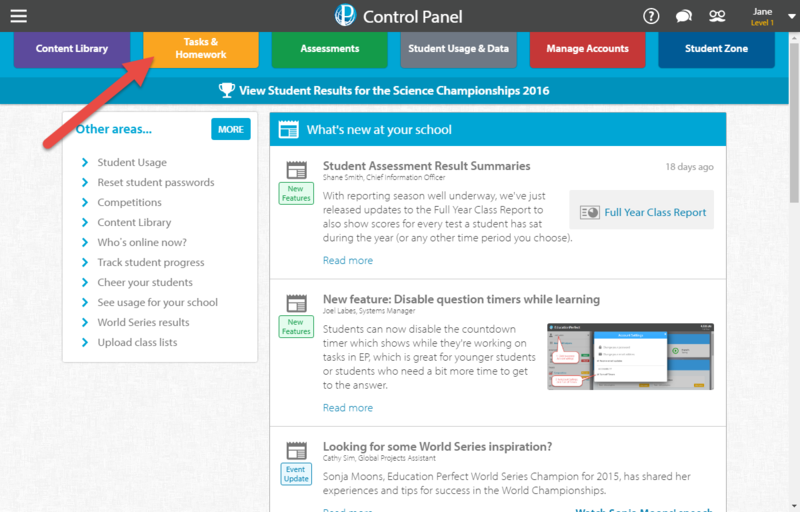 Go to Tasks & Homework from your Control Panel. Mouse-over the homework task and click on Details. When you're done, click Save Changes.